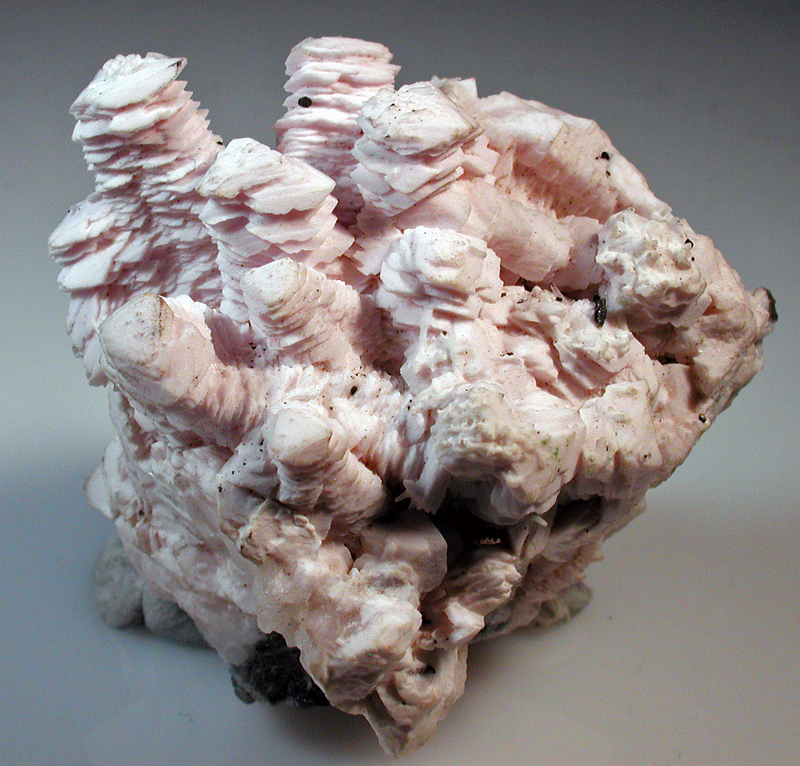 Mn-calcite, pink pagoda-like stacks of acute scalenohedrons, 52 x 50 x 42 mm., Pachapaqui, Peru. There are microscopic crystals of quartz, pyrite, and galena also present on this specimen. K. Nash specimen & image.